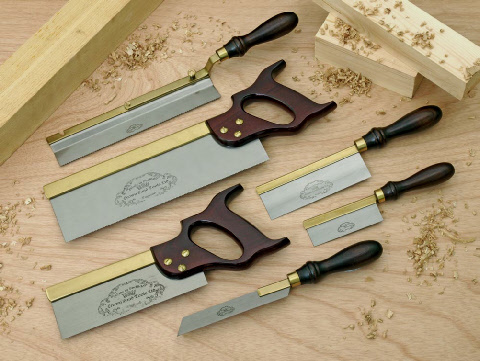 Crown offer a number of quality saws in a range of sizes. All made to Crown's high standards and beautifully finished with either Rosewood or Beech handles. 4" 102mm Gents Saw, Rosewood, Brass Back, 25 T.P.I. 6" 152mm Gents Saw, Beech, Brass Back, 17 T.P.I. 6" 152mm Gents Saw, Rosewood, Brass Back, 17 T.P.I. 8" 203mm Gents Saw, Rosewood, Brass Back, 17 T.P.I. 10" 254mm Gents Saw, Rosewood, Brass Back, 17 T.P.I. 6" 152mm Model Makers Saw, Rosewood, Brass Back, 17 T.P.I. 4" 102mm Miniature Reversible Saw, Rosewood, Brass Back, 20 T.P.I. 10" 254mm Reversible the, Rosewood, Brass Back, 15 T.P.I. 6" 152mm Flush Cutting Saw, Rosewood Handle, 20 T.P.I. 3" 76mm Veneer Cutting Store, Beech, 15 T.P.I. 3" 76mm Inlaying Saw, Rosewood, Brass Back, 20 T.P.I. 8" 203mm Dovetail Saw, Stained Beech Handle, 20 T.P.I. 12" 305mm Tenon Saw, Stained Beech Handle, 13 T.P.I.